HTBS is doing all right. As the editor of the website, I check every day how many daily visits we have or how many views we have for a special post and from which countries these visitors come from. They mostly come from the English-speaking countries, Great Britain, USA, Ireland, Canada, Australia and New Zealand, etc. But other countries show up on the list, too, the Netherlands, France, Germany, the Scandinavian countries, Russia, Italy, Brazil and so on. For the last few weeks, HTBS has had an article (or a Philip Kuepper poem) published every day. 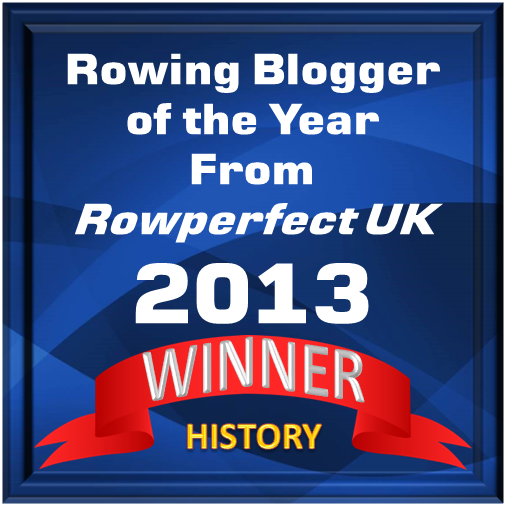 While the core writers, the so-called regular HTBS contributors, frequently come in with articles, also some readers contact me now and then with different questions or finds, among the latter are old photographs, letters, pictures of trophies and pots – there is no end of items and stuff that have some kind of connection to the sport of rowing. And just so you know, I really like the contact with the HTBS readers, who sometimes write a piece for HTBS as well. Among the articles that are popular on the website right now, you will find Courtney Landers’s diary entries about how she and her team mates in Pembroke College BC’s W1 are preparing for May Bumps on the River Cam in June. This series is a good example how a HTBS reader contacted me to ask if HTBS would be interested in some articles. And for the record: sadly, HTBS do not pay for any contributions, the writer being one of the regulars or just a person writing an one-off article. Having a lot of traffic on the website – maybe we should even call it ‘being popular’ – does have some consequences, though, and not always positive ones, I believe. Occasionally, HTBS articles end up on other rowing websites, blogs or Facebook pages often with the writer’s name (but not always) and with the information that the piece comes from heartheboatsing.com. This, without the writer of the article or I, as the HTBS’s editor, having been contacted or asked by the other site if it’s okay to use our material. These days, it seems to be a common behavior in our cyber space world to ‘borrow’ from each other. Everything that is posted and published on the web might, can, should (?) be shared by everyone. Kevin Kelly, co-founder and named Senior Maverick of the magazine/website Wired, once said: ‘The internet is the world’s largest copy machine’. He also said that the web was built on sharing. I am all for sharing, but how about asking first? Maybe I am a too old-fashioned editor for this kind of job? Some other phenomena are also lurking about. More than once, I have been approached by a company that is selling a product that is in line of what HTBS is writing about, or so the company says, and would I please publish a well-written article that the company would provide me with for the website? As the company does not inform me what the product is, I, of course, googled the firm to see what they are selling – once it was a company selling 50-foot motor yachts and another time the product was greenhouses for your garden. Perhaps terrific products, but writing about them on the rowing history website HTBS – not a chance. Last week, I received an e-mail from a marketing firm in the UK which had a totally different approach of getting a review on HTBS. The company was wondering if I might allow them ‘submitting a relevant and original article for publication’ on the website. The e-mail then continued, ‘The piece will include references to one of our clients’; well, of course it would. Not only would I be provided with, they wrote, ‘a fresh article,’ they would also be ‘willing to pay $100 through PayPal’ for my ‘time and effort’. Without knowing the content of the article or who the firm’s client was, I politely declined to take the offer also this time. 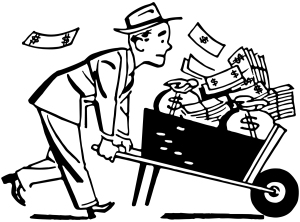 Turning down money is of course not the best way to get rich, but if you want to make some dough you should not be in the rowing business in the first place, I know that from experience. But at least all this proves one thing: HTBS is doing well! Thoroughly agree with the thrust of your article. As is so often the case, when money comes into the equation fun goes out of the game and one of the many enjoyable things about HTBS is the fun nature of its content. The sheer variety of articles written by ‘amateurs’ but to a ‘professional’ standard makes HTBS a go to email when it appears on my screen. Long may it continue . Thank you, Bailey for your comment. You are right, we HTBS writers are doing this for fun, and as long as it is fun we will continue. If money is involved there would be an unwanted press to deliver. As a matter of fact, in the beginning using this platform – wordpress – silly advertisements were added to the website; ads of which I had not control. These ads picked up ‘key words’ in the HTBS articles with ridiculous results. One example, if an article would mention ‘single sculls’, there would soon be an ad reading something like this: ‘Are you 40 and still single?’ I am now paying a yearly fee for not having these ads showing up on HTBS.